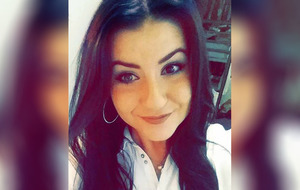 THE funeral of an 18-year-old Co Antrim student, who died following a night out with friends in Belfast, has heard her described as a 'kind, generous person who was always so full of life'. Dearbhla Harbinson, from Upper Ballinderry, died on Friday at the Royal Victoria Hospital in Belfast. Police said that a post-mortem examination would be carried out to determine the cause of death adding there were no further details at present. It is understood the teenager took ill at a house in west Belfast in the early hours of Wednesday following a night out at the Limelight nightclub in the city centre. Dearbhla, a former pupil at Rathmore Grammar, was a first-year student at University College Dublin and had only recently returned home for her Christmas holidays. 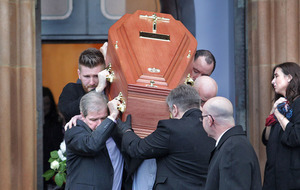 Hundreds of mourners gathered at St Joseph's Church, Glenavy on Boxing Day, to pay their respects to the much-loved teenager, who was a daughter of prominent Antrim GAA figure Lenny Harbinson. He managed his home club St Gall's to All-Ireland glory in 2010 and enjoyed a 12-year career with Antrim in the late 1980s and 1990s. Fr Colm McBride told mourners that Dearbhla was a girl who "always achieved all her goals, whatever they were". "She was very bubbly, a very happy, very loving child," Fr McBride said. "She was a very kind, very generous person, who always seemed to be so full of life. A very pleasant girl who was loved by everybody, always very upbeat and a good girl." Fr McBride also highlighted the teenager's academic achievements and examination results, which earned her a place at university in Dublin. "She worked very hard at school. For most of her life she was involved in studies and she excelled at them," he added. 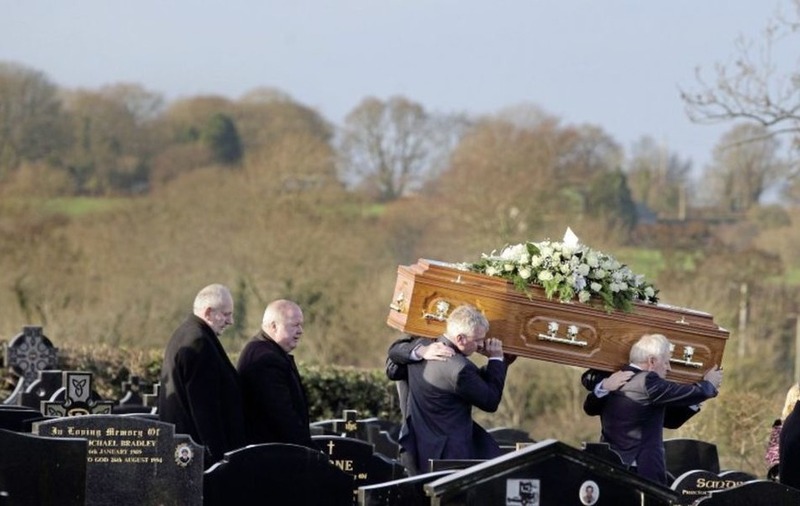 Among the mourners, were representatives from the GAA community, including St Gall's and Armagh club Ballymacnab Round Towers, who Mr Harbinson currently manages. 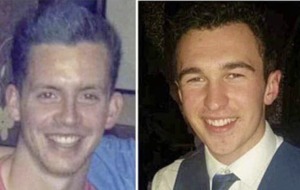 SDLP councillor for the area Patrick Catney said the community was in "complete shock" at the sudden death of the young student. "It's your worst nightmare as a parent," he said. "What can we say to the parents there. It's just devastating news for her family and her young school friends as well. A young, fit, healthy person home for Christmas and all of a sudden this happens, it's just desperate. My thoughts are with them," he added. Following Requiem Mass, Miss Harbinson was laid to rest in the cemetery at St Joseph's Church. In the family notice she is described as the "dearly beloved daughter" of Lenny and Roisin and "much loved" sister of Darren, Etaoin and Aoibhinn.